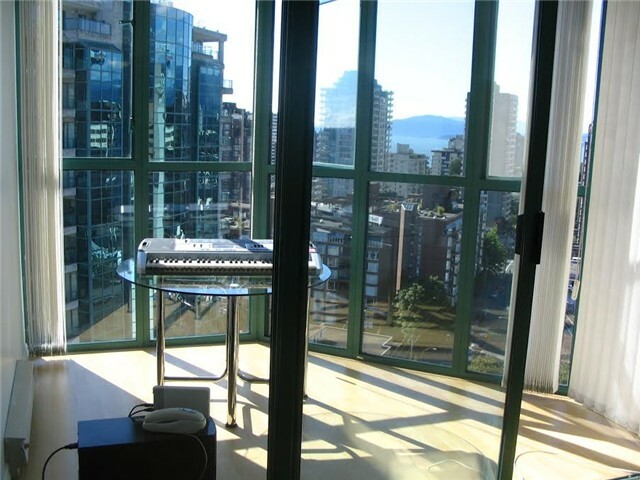 Sun lit 1 bedroom and den unit in the heart of Vancouver with price below assessment. This great investment property is a rare find with exposures to south, west and north, with views of English Bay, Downtown, & the North Shore mountains. This well run concrete building has gone through a $4 million re-fit (completed in 2012). Full rain screen (under warranty): new deck membranes, windows/balcony doors, roof, updated lobby (completed 2013), elevators (2014), meeting area & hallways, w/plumbing upgraded in 2003. Unit has in-suite laundry (only top two floors allowed) Safe and secure, with live in Caretaker and video monitored entrances and bonus Novus high-speed internet. Steps to shops, restaurants, beaches, bike lane, seawall, Skytrain, movies & Granville Island shopping - you are in the centre of it all! Great value, great building, great location!